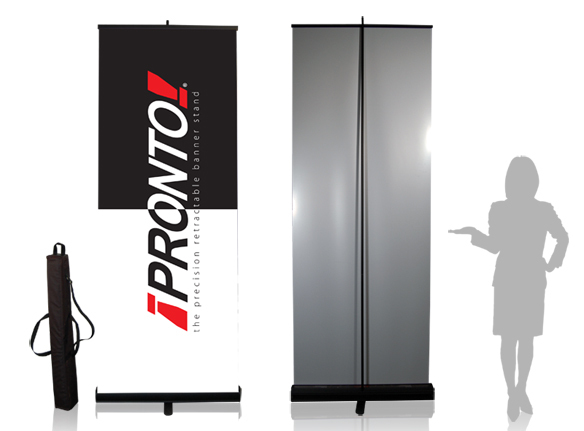 The Pronto Banner Stand is a simple retractable unit with instant setup. 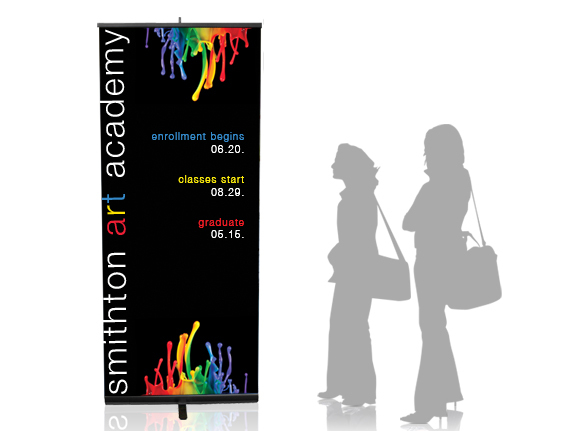 A quality banner stand at the most economical price. 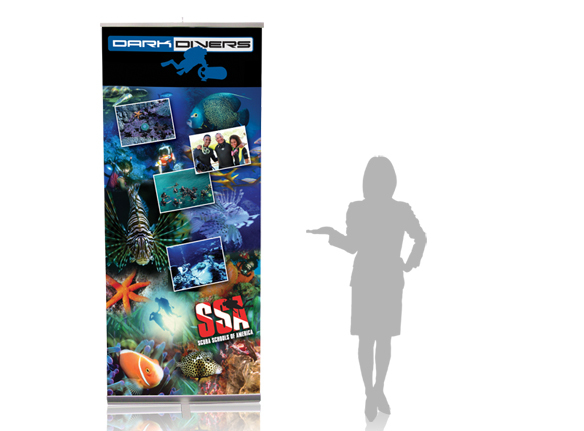 When ready to display, simply attach the pole perpendicular to the base and pull the banner up to attach to the top of the mast. 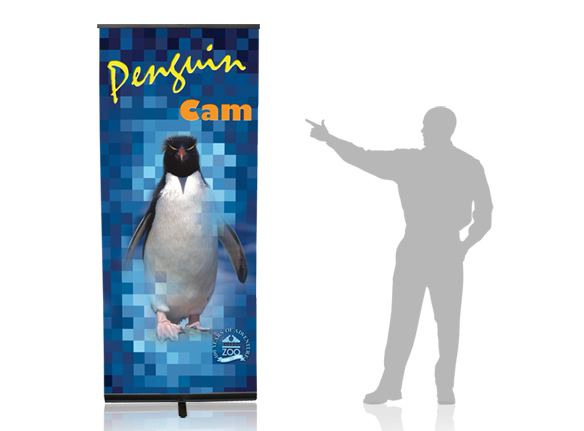 When displayed the graphic is held in place with a clean "clamp style" top hanger for long term reliability and grip. When not in use the graphic retracts into the unit. The mast stores in the base of the unit and is designed with three even segments for various display options. This makes the Pronto very conducive as a table-top display, just assemble at one or two sections high. 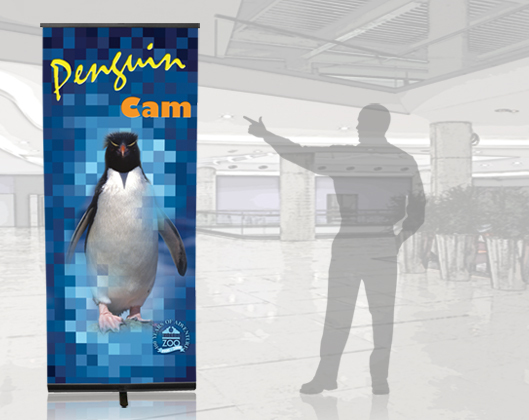 The Pronto is a versatile single-sided unit (double sided available). 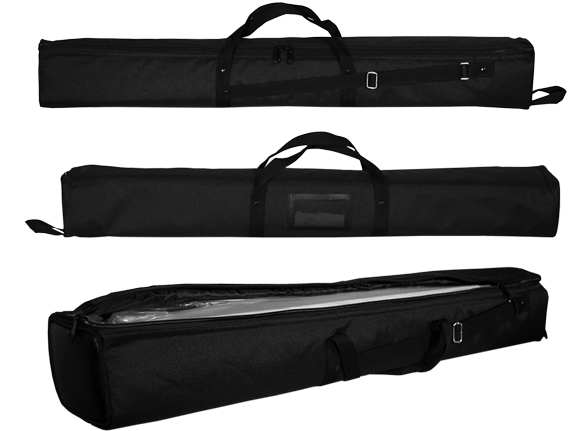 It comes with an attractive black full zip around padded canvas carry bag with silver accent. The set-up instructions are included right on every unit. Every Pronto comes with a Lifetime Warranty. 23.5" 23.25" x 87.25" 10 lbs. 33.5" 33.25" x 87.25" 12 lbs. 39.375" 39.125" x 87.25" 14 lbs. 47.25" 47" x 87.25" 16 lbs. PRONTOS are tough, good looking and continue to function as new for years and years.